My vacations are better than most people's vacations because of one reason and one reason only. I vacation like a pro. I don't take travel lightly, it's a serious job and someone's got to do it. I've been traveling for a LONG time. I think I mention it in my bio (somewhere on this blog) but I boarded my first international flight when I was 9 months old. I took my first solo trip when I was 18, I was with my high school and spent three weeks in living in France as an exchange student. And then I never stopped. I was born to travel, I knew I wanted to see every inch of this planet before I knew almost anything else about myself. I take travel very seriously, I don't mess around, and if we are traveling together, you're either with me or you're against me. This is also why I tend to travel alone almost all of the time. Let's face it, a trip wit me doesn't sound fun, I sound like a real jerk. 1. I hate downtime. I would go insane in the membrane if someone forced me to take a relaxing beach vacation. In fact, I'm angry just typing the words on this page. Unless that beach has ancient ruins I can explore, rare fish and exotic birds I can watch, or some sort of mood altering cacti I can ingest, I'm not going. This past week I was in Los Angeles for work and then took a few extra days to explore Venice. 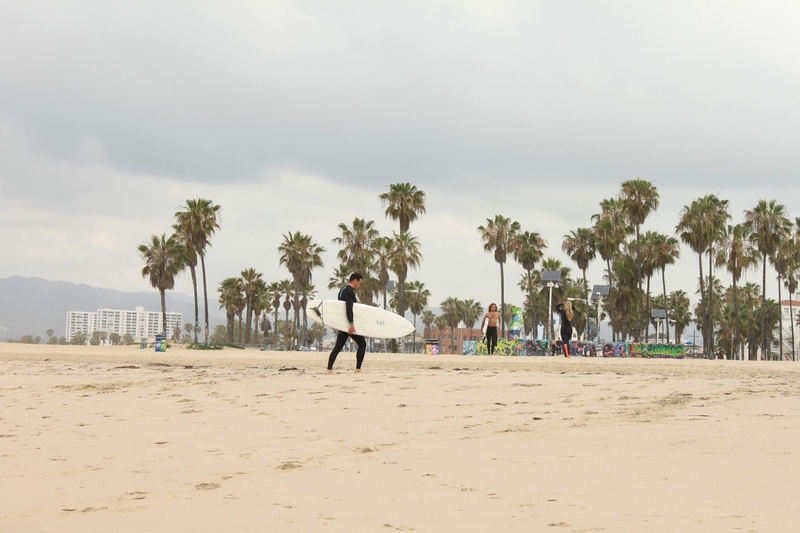 On Friday morning, I was up by 5:30 a.m., I forced myself to stay in bed until 6:00 or 6:30 and then headed to the Venice Farmer's Market, ate breakfast and walked over to the beach to watch (and shoot) the surfers. On my way back, I went shopping on Abbott Kinney, snapped more photos along the way, and finally I walked home to shower and change for my evening festivities. There will always be evening festivities on my travels. 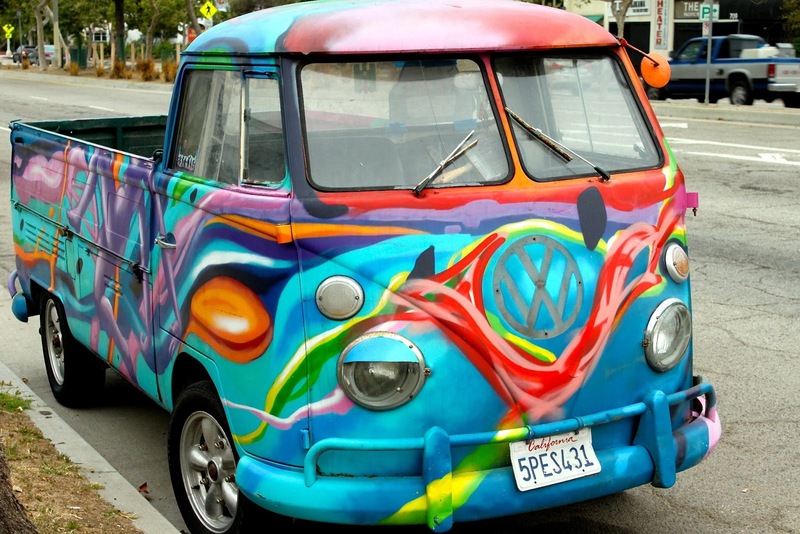 I saw this awesome truck on my way down to Venice Beach (and I fell in love). 2. I need culture. It is imperative that my destination has some component of culture and that I am exposed to this culture, whatever it may be - art, music, dance, food, fashion, history (preferably all of the above). I will not waste a moment, there is work to be done, places to see, people to meet and I must do, see and meet them all. I met this guy (South Side Slim) on Friday morning around 7:00 A.M. He was just playing his guitar watching the waves come crashing in, we chatted, apparently he played with Paul McCartney once and it's on YouTube (I haven't looked yet). 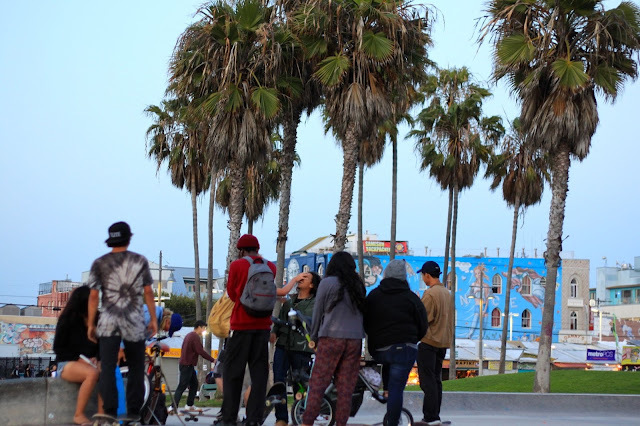 This was exactly the type of culture I was looking for in Venice, some dude who brings an electric guitar (with no amp) to the beach at 7AM. 3. I need to coexist with the natives in their natural habitat. This is why I prefer Airbnb. I was able to rent a tiny apartment about a mile from the beach and in one of the best areas in Venice. I spoke to the locals as if I were one of them. I adapted to their habitat and they accepted me as their own. One of my favorite houses in my neighborhood. I picture a crotchety old gypsy living there, or ME, when I'm older. I make my husband sleep in the camper when I'm mad at him, or better yet, maybe that's where I go to paint! 4. I document every moment, in writing and photos. I started my first blog in 1999 (deleted it quickly) but prior to this electronic medium of web logging, or blogging, I recorded every trip detail in journals. I have travel journals, letters and photographs that go back decades. I still sometimes take a travel journal and write down notes, directions, or things to help me remember - I like paper and a good pen. I once had to draw a map for my tuk tuk driver to get back home to my hotel in Chiang Mai, thank god I had that journal, and thank god I still have that badly drawn map. P.S. I was drunk. Take a photo of the art exhibit you visited so you won't forget. Get a signed copy of her book too. Maybe I heard an awesome song and I want to remember it in relation to that moment, I write that down on paper, a screenshot is OK but it's not the same. Plus, I'm much more funny when no one is watching (or reading), my travel journals are really funny(ish). If no one read this blog, it would be really funny too, but for whatever reason, you all keep coming back. There are not a lot of you, but WAY MORE than I ever imagined. Like thousands of you.... who are you? Why do you read this? I'm grateful, because you are my people, yet confused. Take a screenshot of the song you were listening to before bed so you won't forget how that day made you feel. Random photos of strangers who may have triggered a sense of emotion that you couldn't quite explain, make sure you get those too. And don't forget this one, the one who stole your heart.... and your dreams. This little boy carrying all his gear on the Venice Fishing Pier, trying to keep up with his dad as they go to work, don't forget to capture that or you might forget about it. It's an important piece of the story, don't forget Leyla, you can't forget that little boy! How about a screenshot of every spot on the map you visited, did you get those too? Oh good, because it would be terrible if an inch of land you covered were to go undocumented. 5. I am a novelty seeker and I crave adventure. On this trip, I went paddleboarding in Marina del Rey, in South Africa I went paragliding, but it doesn't always have to be a sport - or sporty. Sometimes, I will just get in a car with a random local and head off to a whiskey distillery. May not sound too safe but that's a risk I am willing to take as a "novelty seeker" - someone who is always searching for the unfamiliar, the unconventional and the unusual. So far, so good. I've only had the best of luck by putting my trust in others, locals especially. However, I don't advise you do the same. After all, I am a professional and I've been doing this a long time! We wouldn't want you to end up in the back of some Eastern European man's Citroen... now would we? 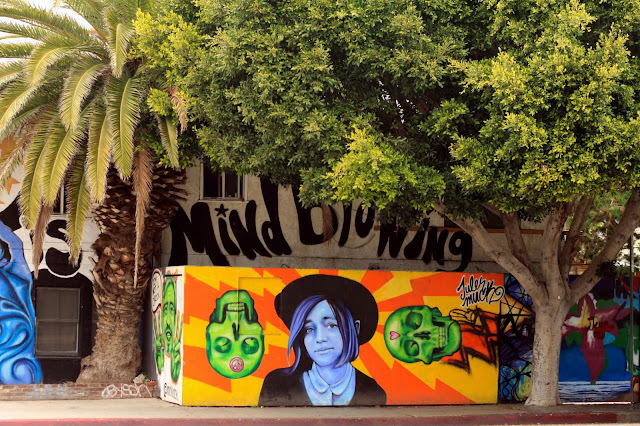 Change is Mind Blowing - mural by Jules Muck a Venice-area local street and graffiti artist, she's kind of a big deal. Not certain of the name of this mural but I love it. I tweeted a photo of it when I saw it and @seldomawake told me that the artist was Cannon Dill - a Bay Area street and graffiti artist. Check out this article with images of work that he and another artist created as they traveled across the US making art and stuff. Thanks for reading... please leave a comment, no one ever does anymore and it makes me sad. Now people just comment on Facebook but I like reading them here (below) in the context of the darn post!